I work out once every year and it’s when we shoot these squad workout videos. After which it takes me one week to recover physically, 51 more to recover emotionally, and then I’m ready to pump iron again. For as long as my metabolism keeps up to the par it is at I will stick with this formula, and then I will probably cave to Taylor’s wish to join her at the gym. 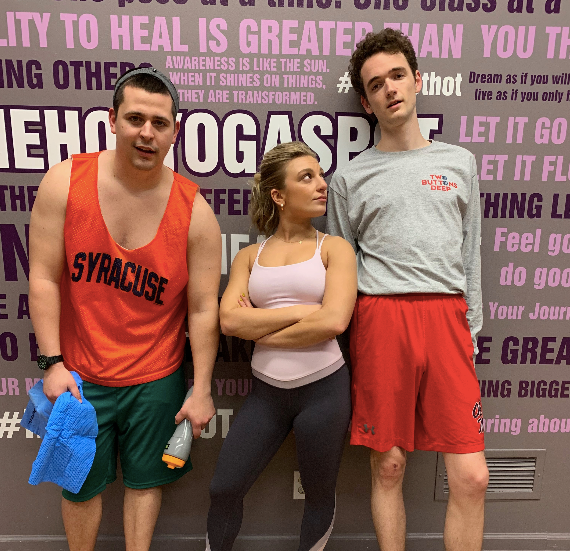 But for now, we tested out BarreFlow, a very popular workout group based in the Capital Region that combines barre and yoga. John and I are fit for neither, but we made it through to tell the tale. Click here to see our struggle and watch the fun.